Over the past 10 years, Hollywood has been hesitant to put much effort behind Christmas movies. There have even been years without a major studio release bearing any holiday themes or connections. The absence of the Christmas movie is often credited to the constraints of release windows and limited marketing opportunities: these titles only have relevancy in November/December, and waiting a year between theatrical and home video is no longer an option. But Netflix is ready to fill the void by releasing a series of original films operating somewhere between the Hallmark channel and the multiplex in terms of production values. This year brings The Holiday Calendar, The Princess Switch, A Christmas Prince: The Royal Wedding and, positioned as their tree topper, The Christmas Chronicles. It’s being given a sizeable marketing push with the star power of Kurt Russell and the production clout of Chris Columbus (“from the film-makers that brought you Home Alone ...”) but sadly, no number of mobile push notifications could turn this into a movie worth watching. It opens with a polished year-by-year montage of home movies chronicling Christmas morning excitement that is so Hollywoodised it’s unlikely to draw comparisons to any viewers’ real experiences. It’s also so oppressively cheery that you just know it will culminate in the absence of a family member by the time we reach present day. Sure enough, dear old Dad (Oliver Hudson) died tragically on the job, heroically saving families from a burning house. 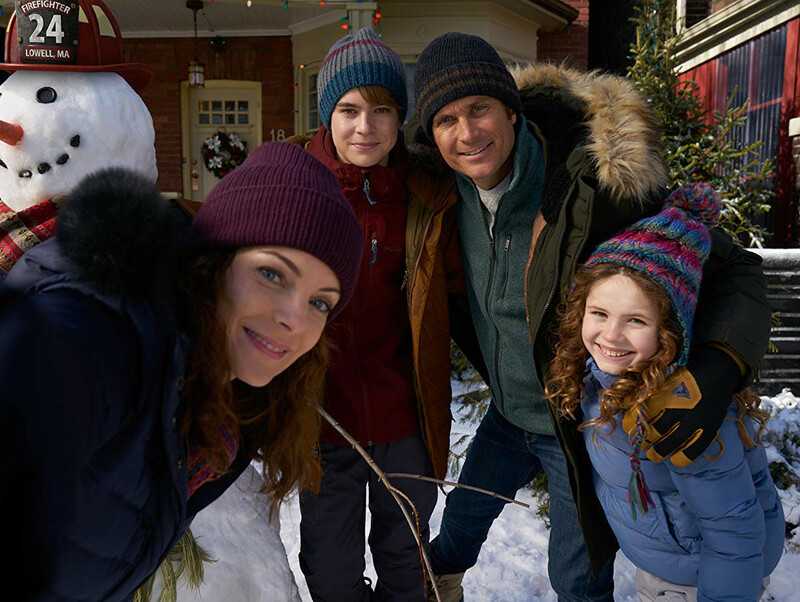 This leaves Mom (Kimberly Williams-Paisley) juggling her demanding job at the local hospital with single parenting her teenage son Teddy (Judah Lewis) and 10-year-old daughter Kate (Darby Camp). Kate clings to Dad’s favourite camcorder (a hilariously outdated model even when the diaries begin in 2006) and is introduced recording a video message to Santa. Meanwhile, Teddy is quickly devolving into juvenile delinquency from underage drinking to stealing cars — an action that is portrayed with shockingly little repercussion in a film aimed at families. After a painfully long prologue, we arrive at Christmas Eve and Mom has been called in at the last minute to cover an overnight shift. Teddy and Kate let their sibling dysfunction ease slightly and work together to set up a hidden camera in hopes of catching a glimpse of Santa. Seriously, there is so much camcorder action you’d think this was a Paranormal Activity spin-off. Something abnormal does happen — although not of the ghostly persuasion — as Santa does in fact arrive. 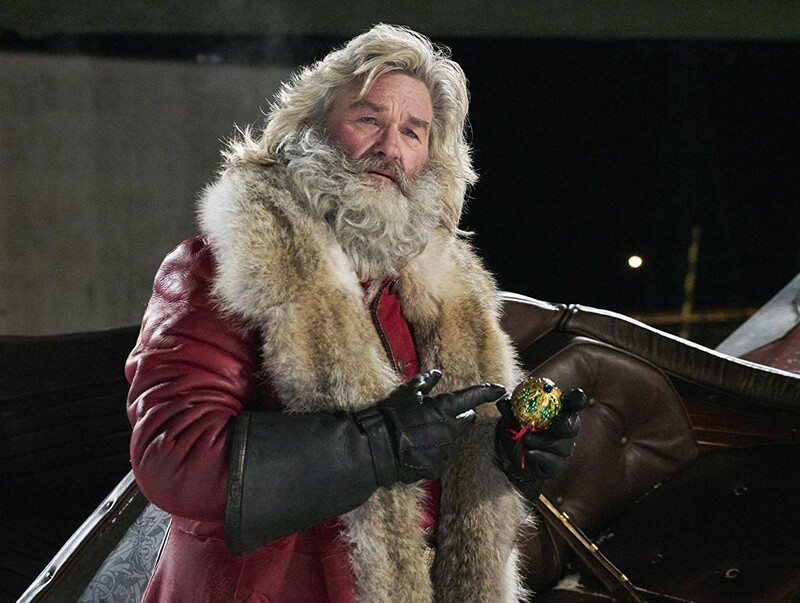 Santa is played by Russell who instantly brings a level of energy and professionalism sorely lacking from the film. His comic timing, twinkly eyes and impressively styled beard are almost enough to inspire hope that the movie will turn around. But just as quickly as Santa arrives, we’re treated to the worst green-screen filming in recent memory and all hope is lost. 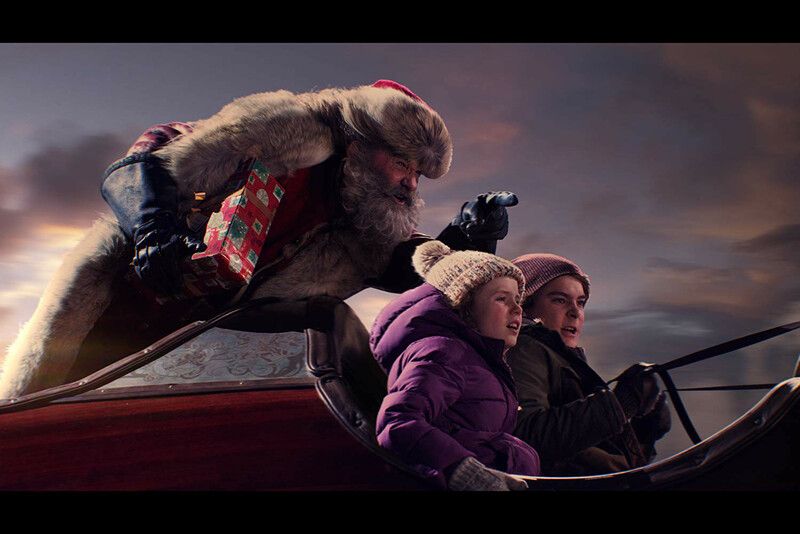 Through a series of madcap occurrences, Santa, Teddy and Kate end up stranded in Chicago, working together to fix Santa’s sleigh, find his magic hat and track down his flying reindeer. If they don’t do it in time, a large percentage of children won’t get their Christmas presents and that would be bad for everyone (“Ever heard of the Dark Ages?” Santa offers as a warning). Hijinks and (attempted) heart-warming ensue and before we know it, we find Santa locked up in the slammer offering his own take on jailhouse rock. While Russell does his killer Elvis impression and Little Steven and the Disciples of Soul cameo as his backup band, you might ask yourself, if this still for kids? The answer is, for a minute or two it’s something more, glimmers of an inspired take on the Christmas movie with enough to appeal to an audience beyond desperate parents and bored elementary school students. But really, the sequence is nothing more than a trifling diversion born out of Russell’s talents (and probably, a big factor in why he did the movie). Between the atrocious green-screen work, the blatant stock footage helicopter shots of city skylines and painfully obvious Toronto-for-America locations, you would be forgiven for thinking this movie was made in 1992. If it weren’t for punchlines about Uber and fake news, Netflix could have sold this as an unearthed relic a la The Other Side of the Wind and we’d believe them. Fortunately, Christmas comes just once a year and Netflix’s Christmas movies will fade from your log-in screen soon enough. That’s not to say Netflix shouldn’t keep trying. The world needs Christmas movies. They can offer a sense of unity or a normalisation of family dysfunction. And Christmas trees look great on film. The Christmas Chronicles is no Christmas chestnut, but Netflix has more freedom than a traditional studio to make one. Here’s hoping for yuletide merriment in 2019.